Big screen, little screen: the Wii U will feature multiple ways to get in the game. The halls of E3, the world’s most beloved video game conference, are ringing with excitement over Nintendo’s latest announcement: the successor to the Wii will be coming in 2012. The eighth generation console will be called the Wii U, and like the Wii it looks to revolutionize the way we approach gaming. Foremost in its innovation is the inclusion of a new type of controller – an enormous two handed 6.2 inch touchscreen pad that resembles a tablet computer. The Wii U controller will allow you to see hidden parts of games, pass information from the small screen to your TV, play while your TV is in use by someone else, and so much more. Check out the incredible trailer for the Wii U and its controller in the video below. 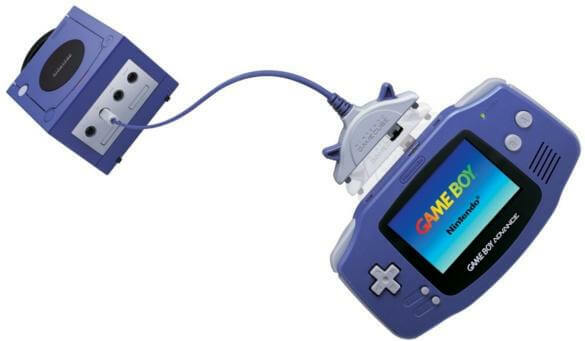 I’m pretty excited by the possibilities that Nintendo’s new console could bring, but even more excited by the trend towards including different kinds of devices in the same system. The future of gaming isn’t one medium of play that does everything, it’s connecting diverse into one shared experience. As you can see in the video above, the Wii U will allow for several different kinds of gameplay, with the new touchscreen controller at the center of the action. Combining the small screen with your TV allows for augmented gameplay – supporting images can be shown in front of you, as the main action occurs on the bigger display. The new controller also changes multiplayer experiences by allowing asymmetric gaming. One person, holding the touchscreen, can have a radically different view from what’s being shown publicly on the TV. This will allow another dimension to multiplayer titles – imagine the touchscreen player as a villain everyone else has to overcome, or vice versa. While it’s not meant as a portable device, the Wii U’s additional smaller screen will allow you to keep playing as your friends watch a TV show, or even could let you crawl into bed for the night and never stop running around as Mario. 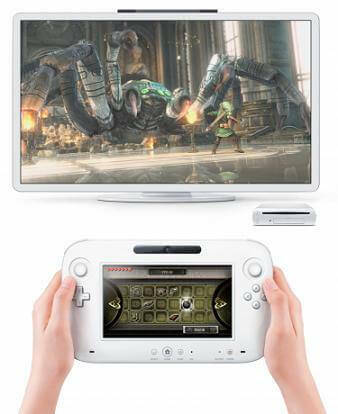 Along with the new touchscreen controller, the Wii U will allow you to play with the Wiimotes you've grown to love. For those familiar with the video game industry, you’ll notice that the Wii U controller seems to have much in common with the PSP, the Nintendo DS, and other advanced portable gaming devices. That big screen, while not quite iPad2 size, allows it to function as a video conferencing tool, and begs the question: where exactly does the Wii U fit into the gaming ecosystem? The Wii U console itself is said to have much the same power and performance as the PS3 and XBox 360. So its gameplay, not graphics that will likely make this 8th generation device different from the 7th. For the past five years, Nintendo’s Wii has been racking up the points, er dollars, in console video game sales. It surpassed 86 million total units sold worldwide this past quarter – well ahead of its main competitors: the PS3 (~50M), XBox 360 (~55M). But you know which next generation system is outperforming even the Wii? Nintendo’s own DS series of portable devices with more than 146 million units sold worldwide (all models combined). That’s nearly double the number of iPhones on the global market. Remember this idea? The Wii U is a revamped version that will hopefully be much more successful. Nintendo has made it clear that the Wii U controller won’t be a portable device, but it’s just as clear from the trailer that it’s playing like one. For those familiar with how the GameBoy was able to interact with the GameCube on certain titles, you can see the parallels. The new controller allows users to move the center of gaming away from the TV. At the same time, the Wii U will allow gamers to have a more physical style of play with a WiiMote, or a more traditional two handed gameplay with the new U controller as a gamepad, or a new age style of interaction via the touchscreen. There are so many different ways for players to approach this system. And that, I think, is the key to the future of gaming. We have so many different gaming devices now. Your smart phone is a video game device, so is your tablet computer, your desktop computer, and your traditional console systems. Games on Facebook are worth billions of dollars, and Chrome is starting to provide an app market for that browser with plenty of games to pick from. Everywhere we go, we game. We need a way to bring all those experiences together into the same shared space. Me on my iPhone, you on your XBox 360, my parents on their Wii, and my little brother on that weird Linux PC he built that somehow manages to play awesome video games. Nintendo’s Wii U doesn’t do that, but it’s a thematic leap in the right direction. By giving us multiple avenues of gaming across what is essentially different styles of devices, Wii U is setting the stage for bringing the disparate forms of gaming into the same arena. Nintendo wants to control and make money off that arena, so it’s all going to be proprietary and closed, but one day I think that could change. Eventually we’ll be able to bring all the parts of the gaming ecosystem under one roof, literally. Connectivity between the consoles, the portable gaming devices, the phones, the tablets, and the rest will transform the fiefdoms of gaming into one huge free for all central market. When that arrives, things are really going to take off. Until then, I can’t wait until 2012 and the arrival of the Wii U.
I wonder if they’ll let me buy one with all those coins I collected as Mario.